It first launched in Hong Kong on January 1, 2006. The channel later launched in the United Kingdom, Turkey, Ireland, Romania, India, Vietnam, and Poland replacing the now defunct Adventure One. The channel remains the world´s first bilingual wildlife service, available in English and Cantonese in the Hong Kong market as well as Tagalog in The Philippines. The channel launched in Latin America on November 1, 2009 as a high definition channel. In 2010, it launched in the United States. 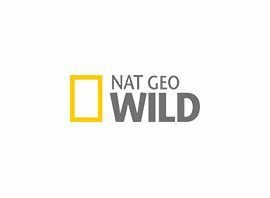 at Geo Wild programming is sourced from various agencies, including UK and European distributors, terrestrial joint productions and National Geographic Television productions. All programs are based on natural wildlife and wildlife history, with a heavy focus on nature´s fiercest predators. Both the UK and Asian versions of the channel include programming focusing on wildlife in their local areas.